After difficult and long days, Day 4 promised to be less strenuous as the team were now truly in the Karkloof floodplain, where the terrain was more open and the river starts its characteristic meanders. With Sue Viljoen (WWF) unable to join us for day 4, Simon Bruton of GroundTruth stepped in as a substitute for the day. Given the open terrain, by tea time we could see in the far distance the start of a line of trees, the end of which marked our finish point for the day. However, we knew there was still much walking ahead, given the many meanders, oxbow lakes and fences we would still need to navigate. On the floodplain cattle became a common sight, along with some of the impacts and risks they can introduce in proximity to watercourses. Eroded cattle crossings, drinking and feeding points (with associated cattle dung and trampling) contributed to water which showed gradual but increasing visual signs of change such as cloudiness, froth and abundant growth of nuisance vegetation, possibly thriving on an increased nutrient load. It will be interesting to see if the laboratory water quality analysis sponsored by Talbot & Talbot confirm the visual observations. Days 3 and 4 were the days of fence crossings. Given the fatigue setting in, humour was found in the different ways each of us may tackle a fence in the least strenuous manner, given our different loads and skills. Some would prefer to vault over and leave pack and kit intact, while others would disrobe all kit, squeeze through and kit up again. Given the many meanders and fences, a tree trunk footbridge was a welcome but tricky crossing to negotiate. Twané showing the muscle required of a river walker. After lunch we made a poor call on which side of the river to take, ultimately resulting in the need for a detour around a large mosaic of impenetrable wetland vegetation, which separated us from the river for some distance. Once re-united, water quality samples were again collected. At the tar road bridge over the Karkloof River, illegal and irresponsible dumping of waste tar material into the river was noted, posing a significant constriction to flow, and perhaps even affecting flood risk to the bridge, with one of the two culverts effectively barricaded. In the early afternoon Ouhout, Leucosidea sericea, was again found for the first time since the headwater sections. Numerous alien plants still made their presence felt (particularly bramble and bugweed), but not in the same densities that had been experienced on day 3. Having said that, some large isolated patches of bramble required some cautious retreat and detour. Nduduzo taking a water clarity reading at one of the last water quality sites of the day. As dusk approached and each camp fence was crossed, the team were joined by relays of inquisitive river walkers who call this beautiful area home. This entry was posted in Conservancy Action, Water, Water Stewardship and tagged catchment to confluence, custodianship, farming for conservation, karkloof, karkloof river, karkloof river walk, miniSASS, river, river health, river walk on March 31, 2017 by Midlands Conservancies Forum. Thanks Penny and the Mayday for Rivers Team. It’s amazing what stories the rivers hold. Discovering them is an experience we’ll never take for granted. 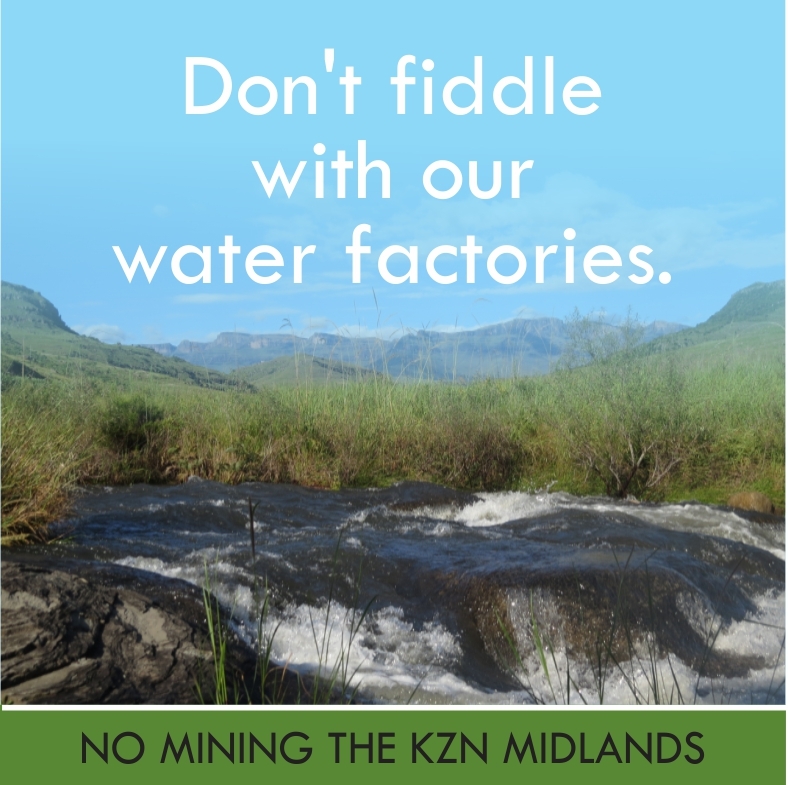 We certainly hope we can begin action towards improving the quality so that we can ensure the cleanest possible water flowing into the Umgeni River.